Dan Orlovsky is many things to many people. Lions coach Jim Caldwell has a completely different perspective on the journeyman NFL backup quarterback than the Lions fans do. Orlovsky was with the Lions from 2005 to 2008, before signing on as Matthew Stafford’s backup a few weeks ago. When Caldwell was coach of the Indianapolis Colts in 2011, Peyton Manning could not play the whole season. It turned into pretty much a nightmare ending with a 2-14 record and a pink slip for Caldwell. Orlovsky led the Colts to wins in two of his five starts. Orlovsky replaces Shaun Hill who didn’t see an significant action the last three seasons while Stafford stayed healthy. Lions fans have bitter memories about Orlovsky. 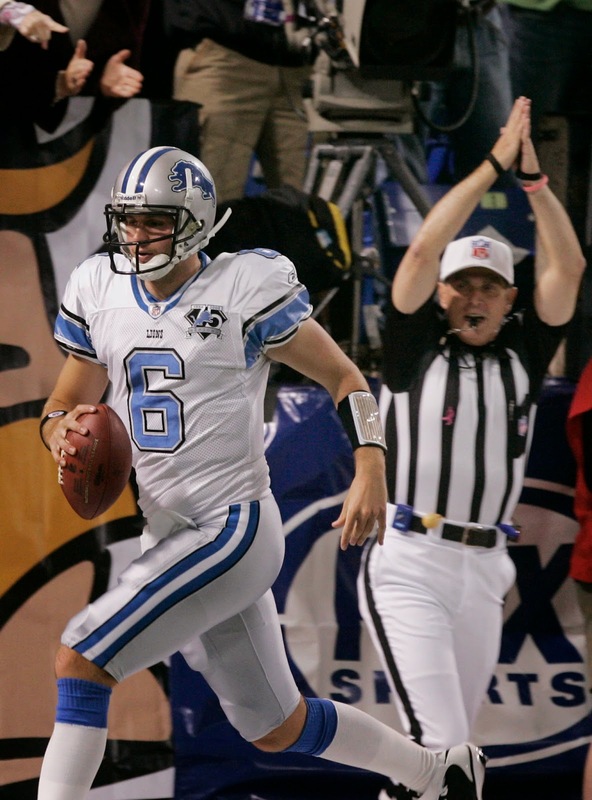 Orlovsky is best remembered in Detroit for running out of the back of the end zone for a safety when he was lined up in the shotgun during his first career start in October 2008. The Lions lost 12-10 to the Vikings. He also started the 16th game in that 0-16 season. In 2008 he started seven games and completed 143 of 255 attempts for 1,616 yards with eight touchdowns and eight interceptions. Remember, if Caldwell didn’t have faith in Orlovsky’s ability to step in and help win games, he wouldn’t have welcomed him back to Detroit.